A version of this post originally ran on the Teaching Channel's Tcher's Voice blog. I came back from my morning run completely energized. I took my headphones out and continued to puzzle over Sugata Mitra’s compelling segment on the TED Radio Hour of “Unstoppable Learning,” which suggested that in many ways, teachers are getting in the way of learning. A tough pill for me - a teacher of seven years - to swallow. I scrawled some thoughts in my journal: “Students in pursuit of learning,” “fostering curiosity,” “CHOICE,” “unstoppable learning,” and grinned as I imagined what this transformation could look like in my classroom. A few weeks later, I told my students we'd be starting "Inspiration Time." I explained this time was designed for them to ask themselves what they are curious about and what they want to pursue. Our current models of jam-packed school days starting in kindergarten with early start times, late release, and hours of homework are not conducive to true consolidation of learning. We need to carve out time for students to make deeper connections, identify gaps, and make plans for next steps. -What are you curious about? -What is your plan to pursue it? At first, students may need direction, but don’t steal an opportunity for them to grapple and problem solve. Give space and time for them to develop. Ask purposeful questions. Build their capacity as a class community that seeks out one another and collaborates. Offer frameworks instead of answers. Posting "Office Hours," in which students can sign up for time with me or their peers is a framework I've introduced that has helped me let go of being directive and instead pay attention to where students' thoughts reside. Asking questions and giving purposeful feedback while still letting students hold the reins is critical. Let them decide what their plan is, and let them grapple with it. Asking questions like How will you know when you’ve met your goal? And debriefing as a class allows students to be reflective and thoughtful about their process. 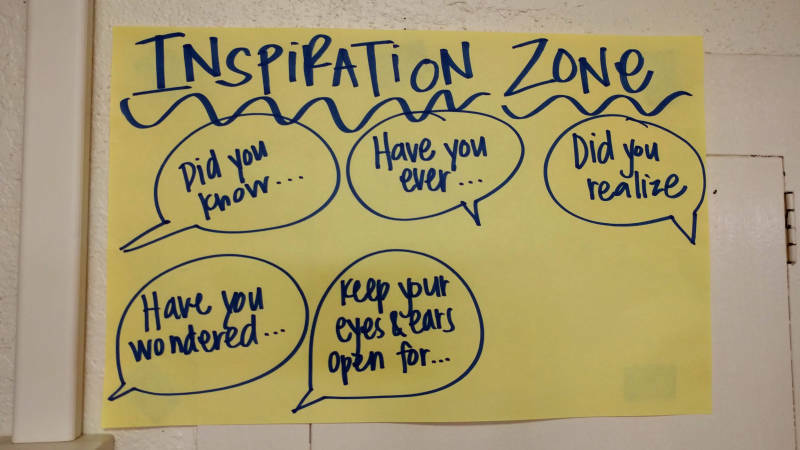 Inspiration Time has also helped my students build and strengthen connections with one another and with me. My struggling readers are seeking out their friends, asking them to coach them on a chapter book series that is just out of their reach. 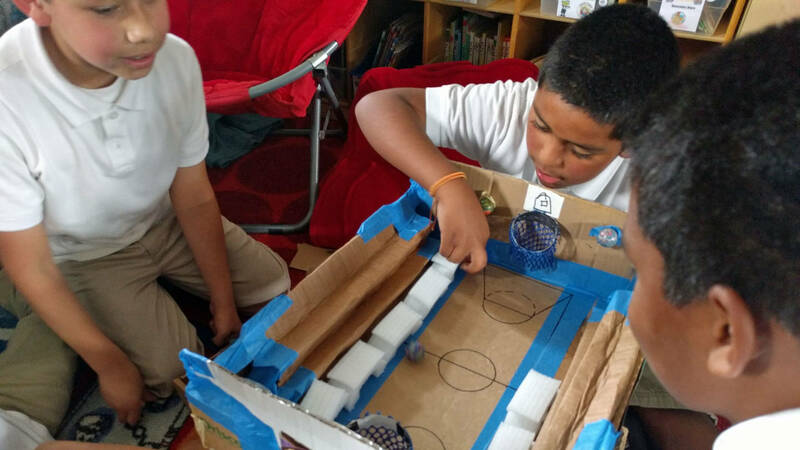 They’re working together to design and build games, sometimes even taking the work home and involving their parents in their passions. These experiences strengthen my students’ relationships with one another, and deepen their sense of class community. This time also offers me an authentic opportunity to get to know the individuals in my classroom; and to see the inner workings of all my students, not just those who are vocal and confident! I’m happy to report that the energy and excitement I felt after my run, is now evident in my classroom. And when 25 students bubble over with excitement, they create a synergy and morale that is contagious. 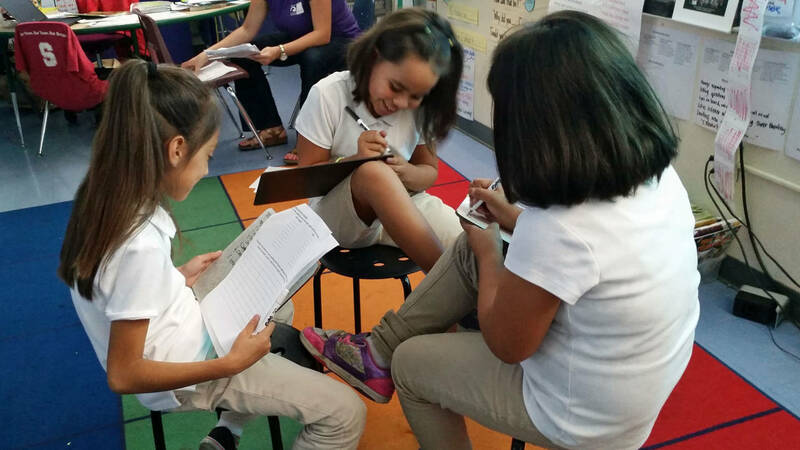 Inspiration Time is a tangible way to show students how fun it is to learn! The joy of learning and the connectedness we feel spills into other parts of our day. Students make deeper, more meaningful connections between content because they have engaged with it in personal and authentic ways. I understand the doubt and concern teachers feel about whether students are capable of making responsible decisions, or apprehension that extended learning time won’t be as meaningful and valuable as a teacher-planned and led segment. But it’s precisely because of those concerns -- including the many demands on our time — that teachers must find a way to bring something like Inspiration Time into classrooms. I marveled the first day I tried Inspiration Time at the topics, questions and offerings that turned up on the first office hours form I posted. Aleyda offered time to lecture on female wrestlers, while students pursued Aaron about his efficient use of the “doubling and halving” strategy he articulated during number talks. A handful of students pursued Brenda to set up office hours on how to become the expert speller she is, while other students signed up on my office hours to find other ways to learn about perimeter. My job is for naught if I help develop intelligent students who don’t know how to make responsible decisions. There are few times in my day when my students truly hold the reins of their time, completely void of direction. But in college, in life beyond school, they won’t have someone directing their time. If they can’t exercise their responsibility and decision making in true, authentic ways as they develop starting now, how do we expect them to do it as adults? Our students deserve opportunities to grow as critical thinkers, to be given purposeful feedback, to develop their passions and independence in pursuing meaningful work. And sometimes that requires us as teachers to take a step back and just make space. Maricela Montoy-Wilson is a 2-3 master teacher at Aspire Public Schools, an East Palo Alto Charter School. She is a lifelong learner and hopes to impart her love of learning to her students.